I’m writing from Iowa where I’ve been speaking to audiences of activists and helping to organise “Concerned Iowans for Middle East Peace (CIMEP)” — a coalition committed to Palestinian human rights and a just Middle East peace. If you care about politics and policy, Iowa’s the place to be. It’s not just that Iowa is the first state to vote in the presidential election cycle. It’s because of the way politics are done in this state and the seriousness with which Iowans engage in this process. When they vote, Iowans don’t pull a lever or fill out a paper ballot, they caucus. On election day, across the state, hundreds of thousands of voters gather in school auditoriums, other public buildings, and even living rooms. At the appointed time, they break into groups indicating their preferred presidential candidate. If some candidates only have a few individuals who caucus for them — not enough to register — they may decide to join another candidate’s caucus group. Similarly, members of larger caucuses may try to recruit supporters from the smaller ones, in order to boost the share their candidate receives in the overall vote. When this process is over, the numbers are tallied and those candidates who have the largest number of supporters win the right to send a few delegates to the next round of voting. This same process continues up the ladder from these local caucuses, to the county caucus, to the congressional district, and finally to a state convention — where delegates to the national convention are finally selected. An additional factor that makes the Iowa experience so interesting is that after the votes for president are tallied, the delegates then debate and vote on issues they want to send to the state convention to be inserted in the state party’s political platform. It’s a complicated and involved process, to be sure, but it’s also exciting and an example of real democracy at work. Iowans don’t vote passively; they debate with their neighbours and try to win over other voters to caucus for their chosen candidate. They’re aren’t just voters, they’re activists and advocates. Last year, I served on a reform commission created by the national Democratic Party. There were some who wanted to end the Iowa caucuses. They argued that it required too great a time commitment (and therefore excluded people whose work or disability make it difficult for them to participate) or that Iowa’s population wasn’t diverse enough and didn’t reflect the rest of the United States. Those of us who support Iowa and respect its unique process pushed back. We noted that though small in number, Iowa’s diverse communities take their responsibilities seriously and engage fully in the caucuses and the debates leading up to them. In the end, Iowa kept its caucuses, but some improvements were made to allow for broader participation by more voters. There’s another reason why I love the personal, hands-on nature of Iowa’s politics. It isn’t enough for Iowans to see their candidates in a TV ad or at a big rally. They want to meet them, look them in the eye, take their measure of them, and then ask them tough questions. This is what Iowans do. Because, after Iowa, the rest of the election season is a blur, the rest of the country doesn’t have the same opportunity to meet and question the candidates. It’s impossible to do that kind of “up close and personal” politics in all 50 states, so Iowans get to raise the issues and ask the questions that the rest of America needs to have answered. And on most topics, Iowans have done their homework and can be quite sophisticated in how they approach the candidates. 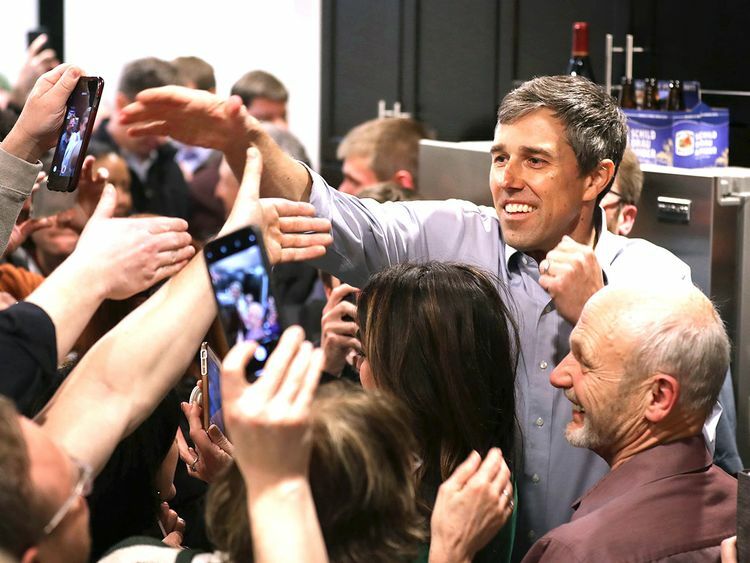 Just yesterday, for example, one member of CIMEP was at a small gathering with Beto O’Rourke — the newest Democrat to enter the presidential contest. He was able to frame a detailed and thoughtful question, asking what O’Rourke would do as president about the racist policies of Israeli Prime Minister Netanyahu and what would he do to protect the human rights of Palestinians under occupation. O’Rourke gave a fairly good response condemning Netanyahu and committing to Palestinian rights. If our work goes as planned, this isn’t the last time O’Rourke, and other candidates, will get these questions — since our plan is to continue to drill down and ensure that the rights of the Palestinians and other Middle East peace issues are centre stage in this election. It is important that an effort like CIMEP be organised, because if it didn’t exist, the questions its members will ask might not enter the discussion. Candidates might not be called to account for their position on the Arab-Israeli conflict during the entire presidential contest. Challenging the candidates is so important because in election after election we have chosen a president who has never had to state what they would do to address Israel/Palestine or, for that matter, most other Middle East-related issues. This is the state of affairs we are determined to bring to an end. We do so because in the past four decades, since the end of the Vietnam War, the US has spent more money, shipped more weapons, sent more troops, fought more wars, lost more lives and has more at stake in the Middle East than any other area of the world — and yet we repeatedly elect presidents without knowing how they will address that region. It is, therefore, imperative that those who seek to lead the United States in the next four years be asked to engage in an open conversation with the American people about how they intend to conduct Middle East policy. My thanks, therefore, goes to Iowa’s peace activists who hosted me and who are organising to engage in a respectful and desperately needed conversation about the Middle East in this presidential race.